Once dominated by global banks, hedge funds, and multinational corporations, the foreign exchange market, or forex, is now easily accessible to traders and investors around the world. But in order to make the most of your time in this market, you need to have a firm understanding of how it works. 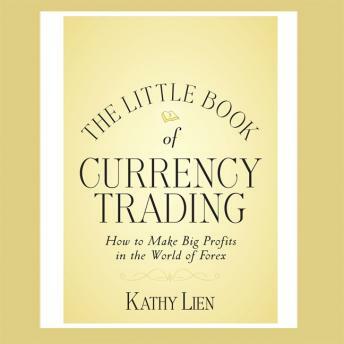 Written by forex expert Kathy Lien, The Little Book of Currency Trading shows you how to effectively trade and invest in today's biggest market. Page by page, she describes the multitude of opportunities possible in the forex market, from short-term price swings to long-term trends, and details the practical products that can help you achieve success. Filled with in-depth insights and practical advice, The Little Book of Currency Trading opens the world of currency trading and investing to anyone interested in entering his dynamic arena.